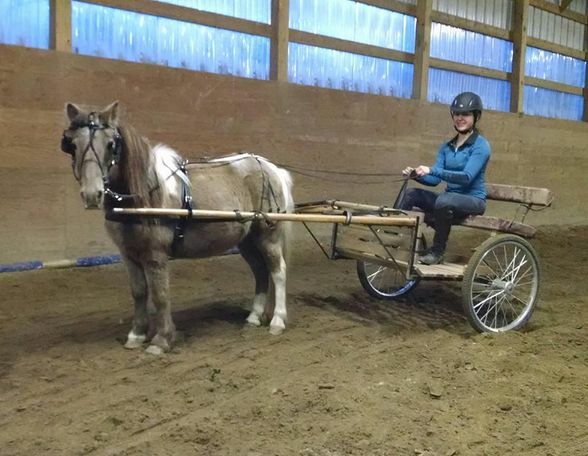 Adorable, Kid Safe Small Pony - Rides & Drives! 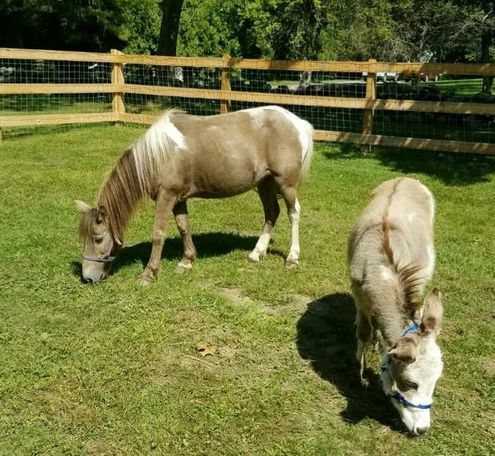 "Clementine" is an adorable 15-year-old large mini/small pony mare who is looking for a family to call her own! She is extremely sweet and is great with kids. She has absolutely no health issues or naughty habits. Clementine stands 41" tall and can carry a child for pony rides. She drives great as well and will happily and safely go down the road without any issue. She doesn't spook and is traffic, farm equipment, dog and bicycle friendly! She would be a great 4-H project, or for a family just getting into horses! Asking $1,000 to a fantastic home only! Located in Derry, NH, however free or reduced transportation is available. Phone calls only, please call our phone number for more information. 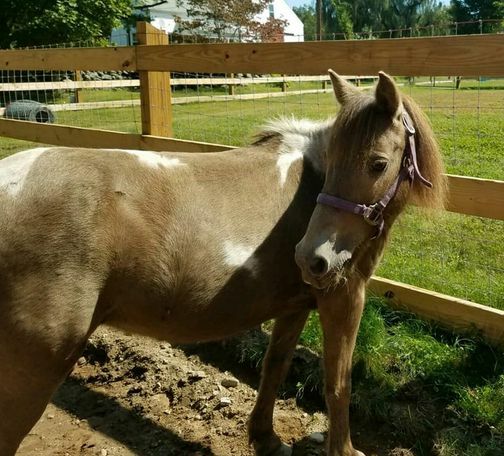 32" eight-year-old miniature gelding that's as cute as a button! Availabe for adoption in Blooming Prairie, MN!